I always hear these statements: “You probably can’t eat there anyway” and “why don’t you tell us where you can eat.” And I always respond with, “I eat anywhere. Don’t worry at all about me.” After almost 6 years of blogging about dining at mainstream restaurants, it still feels like the message is not getting out: There is vegan food everywhere!! 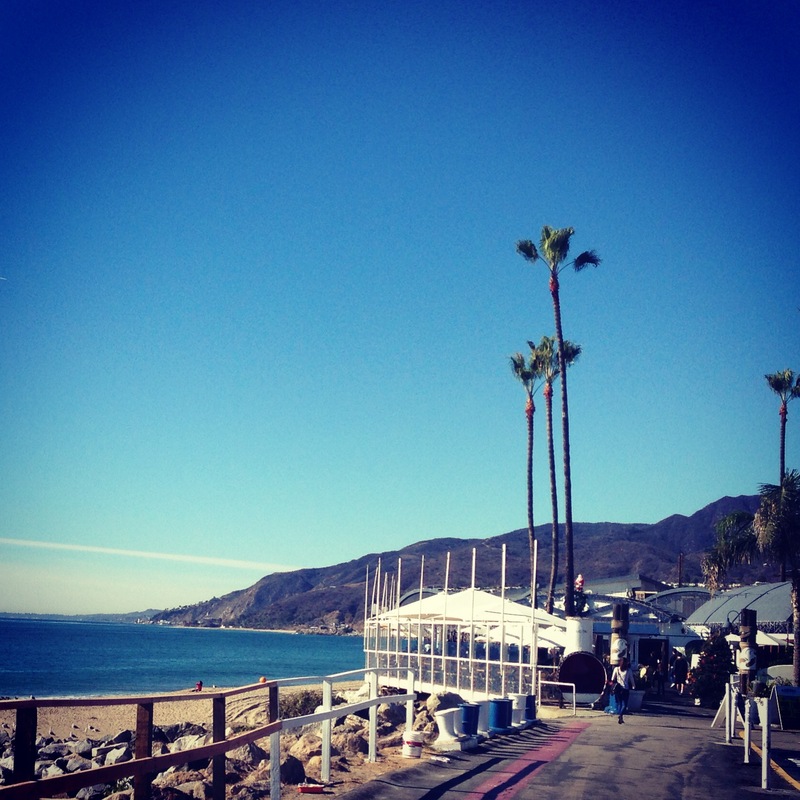 Today, we decided to take a little trip to the coast and have lunch at a place called Gladstones Restaurant in Malibu. With fantastic views of the ocean, you begin your experience by walking alongside the beach, straight into the deck dining area. Whether you choose to sit inside or outside, you will have clear views of the water with plenty of opportunities to snap photos of passing birds and crashing waves. It’s difficult to not get excited or entranced by the atmosphere. Once inside, though, it’s just like most other coastal joints: blue and white nautical theme, but instead of the lobster traps of my east coast heritage, there are surfboards. It’s always way more fun to let yourself get lost in the touristy ambiance of places like this and just go with it! I just can’t let this part go, though. One thing I always find irritating is people coming around wanting to take a souvenir picture. Normally, a person is asked “would you like me to take your photo…?” but not here. The pitch was “I’m taking photos for your free souvenir postcard.” That’s it. I was about to say no, but I was outnumbered, so we now have a free souvenir postcard of the four of us. And, of course, that’s never the end of it! There are other pictures of us they want to sell us. Just for the record, I’m not the only person who hates this. The first thing I always do when preparing to dine at a new place is check out the online menu. I expected much less from a seafood joint, but there were actually three vegetarian/vegan items on the menu: Vegetable Flatbread, Vegetable Panini and a Vegetable Pasta. 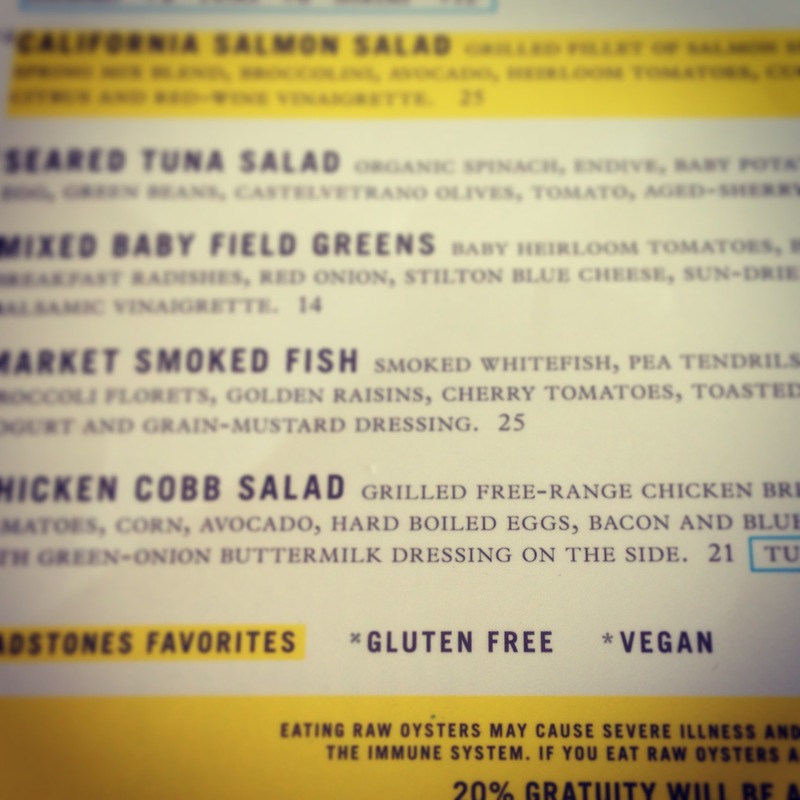 In fact, at the bottom of the menu is a key pointing out gluten free and vegan options! Notice the Vegetable Penne is gluten free and vegan. If I’ve learned anything in my travels, it’s that just because there are vegan options on the menu, it doesn’t necessarily mean that the waitstaff is knowledgeable and trustworthy when it comes to knowing what “vegan” means. But our server, Daniel, shined today. At the mention of me being vegan, he instantly pointed out both the penne and the panini as options. After a long deliberation (was in I in the mood for pasta or a sandwich? How badly did I want to try the potato chips that come with the sandwiches?) I settled on the penne. Daniel assured me that it was an excellent choice and that there would not be any dairy. Great! Bring it on! He returned just a few minutes later and said that yes, the dish is absolutely vegan, he had misspoken. The sauce was made with olive oil and Meyer Lemon (juice, zest, and pulp), and that’s it. Wow, just wow. It was bright, acidic and delicious. I admit, I’ve eaten a lot of pasta dishes as a vegan and not only was this the most original sauce I’ve ever had, this may be the best one yet. The only question that remains: was it actually gluten free? I don’t know for certain. Although I try to avoid gluten (operative words being “try” and “avoid”), it’s not for health reasons. I do not have a deathly gluten intolerance which requires me to cut it completely, therefore it’s not something I worry about. If you want to know beyond what the menu claims, you will have to ask your server when you dine there. 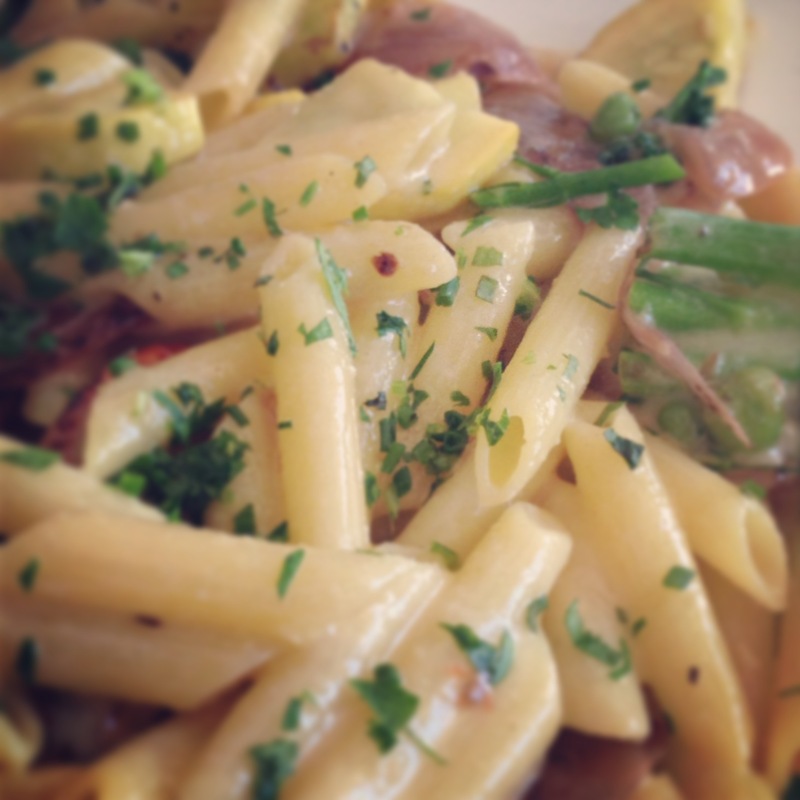 To my palate, the pasta didn’t have that usual mealy texture that gluten free pasta can sometimes have. To say I enjoyed this dish is an understatement: I loved it! It was a large portion, so I’m happy to say that I have a little box with my name on it in our refrigerator waiting for my inevitable late night munchies. In all, I was impressed that a primarily seafood restaurant had three vegan offerings right on the menu. I was also pleased with how helpful our server, Daniel, was throughout the entire meal, but especially how eager he was to double check with the kitchen on the ingredients of my meal. That wins huge points in my book! 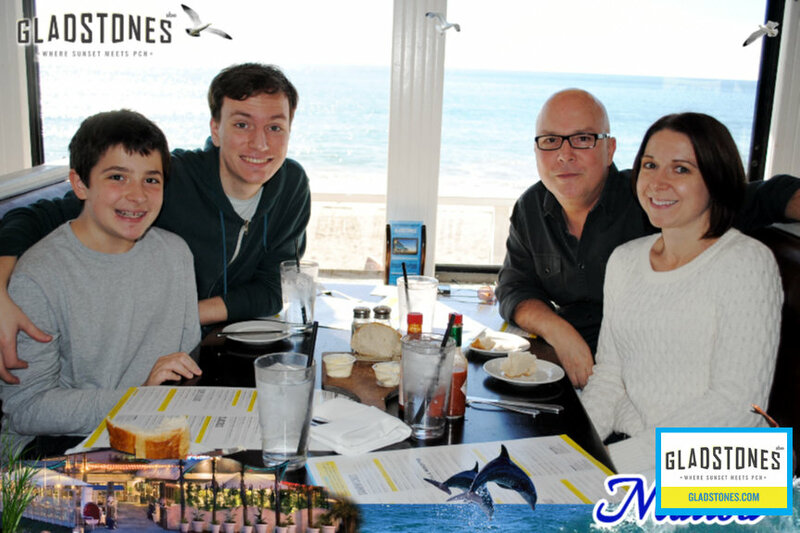 In October 2015, we returned to Gladstones for lunch with my brother while he was visiting from NY. Given the above experience, I fully expected to get the pasta dish again. Well, I assumed wrong. When I told the server I was vegan, he got very shifty – basically told me there was nothing, but didn’t completely disregard my request when I said I’d had a pasta dish before. 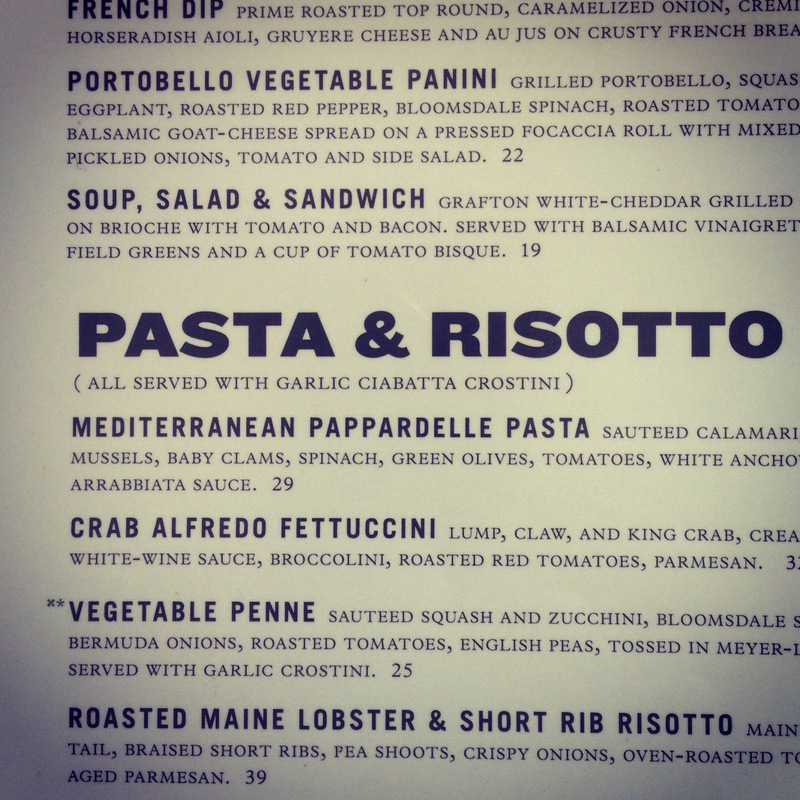 He said he was sure the pasta was on the dinner menu, not the lunch menu, but he would ask. The manager then came to our table. Both my husband and I explained that I’d never had trouble eating at Gladstones before (besides the meal of the original post, we’d returned 3 more times) and this was very odd. But he went on to tell me that the bread contained eggs (really? Bread with eggs?) and that the pasta was dried pasta and contained eggs. Again, have you read the ingredients on the Barilla box? No eggs in dried pasta. He said I could have the kale cesar salad, but they would have to remove the feta cheese. He also assured me that they would pack in a few extra veggies. That’s fine. But that’s not the service or graciousness I’d come to expect from Gladstone’s. When my salad arrived, it literally was a pile of kale with oil & vinegar on it. None of the promised veggies, nothing. It was awful. I was so ticked off and distracted that I didn’t even take a picture. I left my business card, as usual, and that was it. It appears, looking at the online menu now, there is a vegetable gnocchi on the dinner menu, but I’d be surprised to find out it didn’t have eggs. I would ask. There are clearly a few vegetarian options on the brunch menu, but the few vegan options there used to be (including a roasted veggie sandwich) are gone. All I can say is good luck going to Gladstones now. Eat something before you go, and just order a drink. Happy Holidays from The Valley Vegan and her Minions!